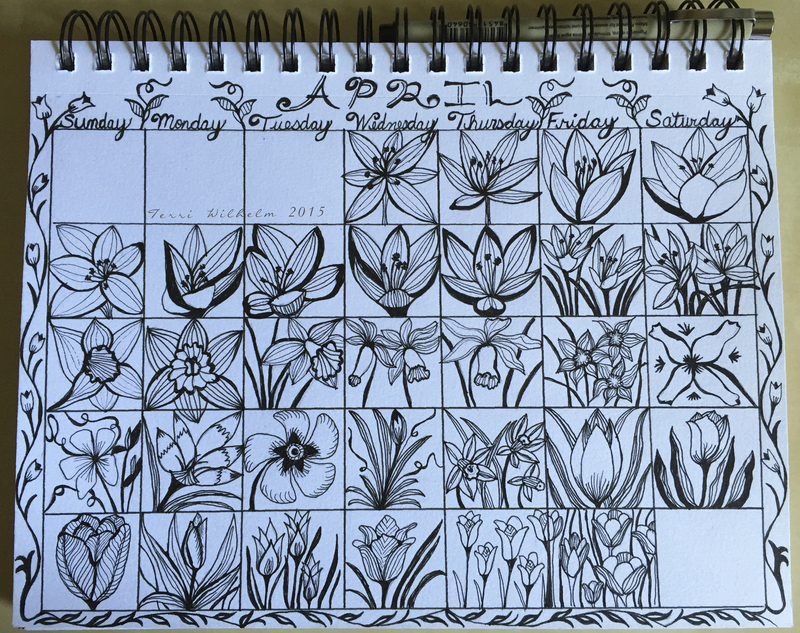 For the month of April I took inspiration from what I saw outside in my part of the world, which was early spring flowers – crocus, daffodils, forsythia buds opening, vinca vines and tulips. 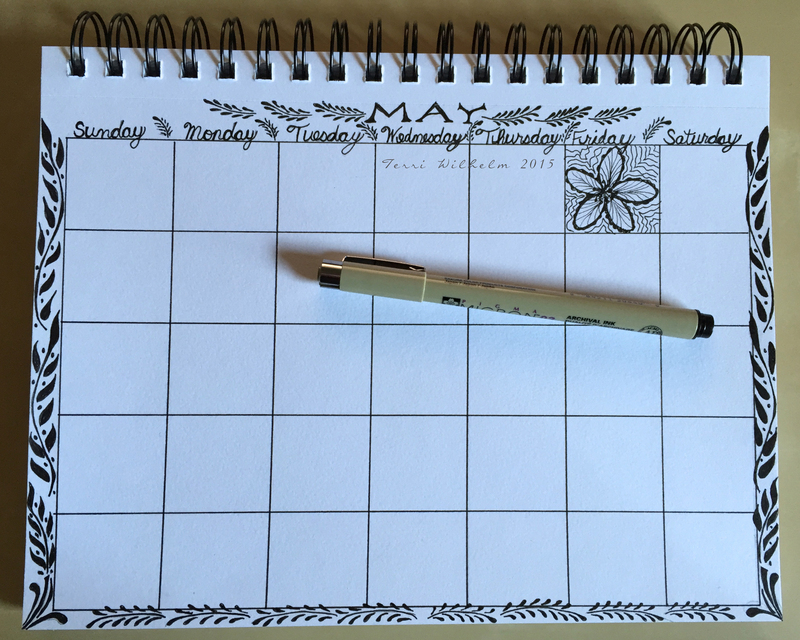 And I’m already into May with new sketches! My good friend Vicki, also known as Dotty Jane, was sneaky and sent me a little birthday/Christmas care package which contained this gorgeous personalized mug rug! How wonderful it was to see my name sewn in fabric with beautiful prints and fabulous quilting. 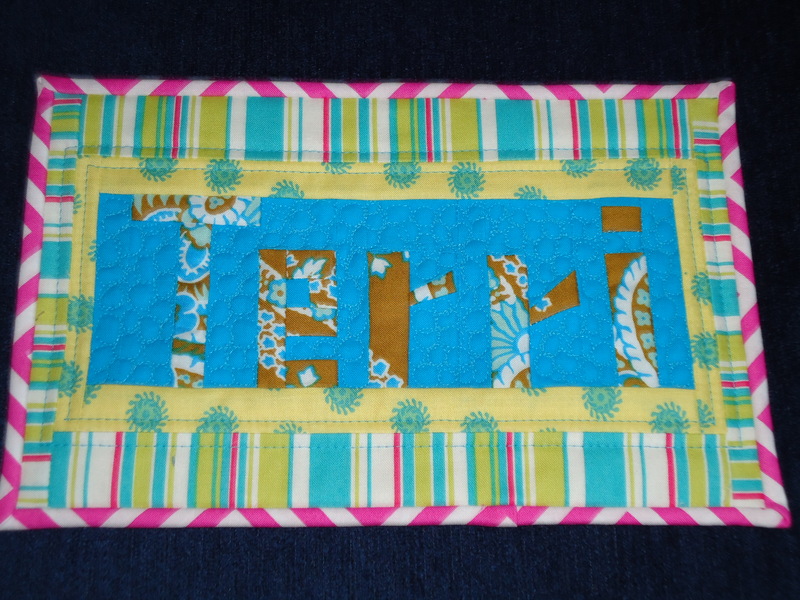 Be sure to look closer at the amazing pebble quilting she did in between the letters. I know she has been practicing with the quilt-along. 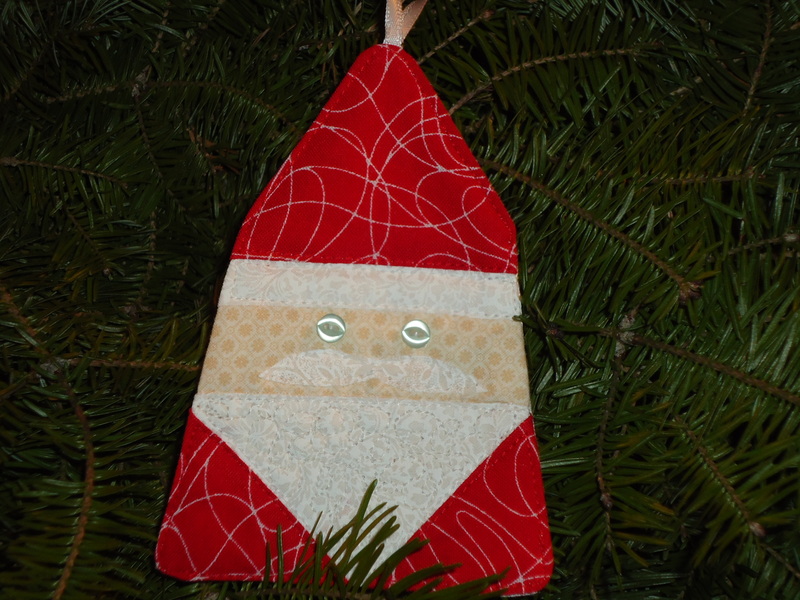 She also included this adorable patchwork Santa ornament, perfectly pieced and stitched. Thank you, Vicki, for being such a great friend and for brightening my day! 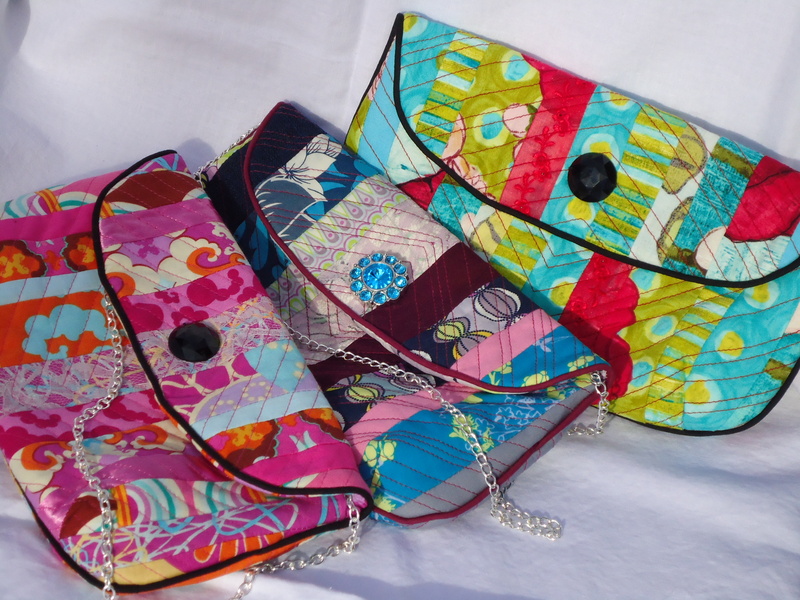 I haven’t had time to sit at my sewing machine for two weeks, yet I have been holding back on you! 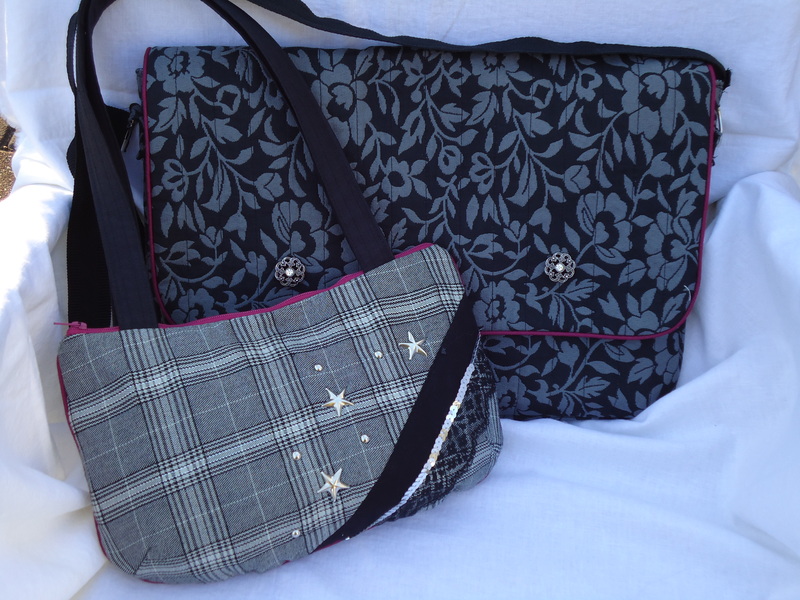 I finally finished adding some new one-of-a-kind bags to my shop, so now they can all be found in the New Products section. I am happy to offer all of these styles as custom designs, in addition to what I patch and piece together based on my own inspirations. I provided more details in the descriptions in my shop, if you’re interested in more specifics. Sorry for the bag overload today! 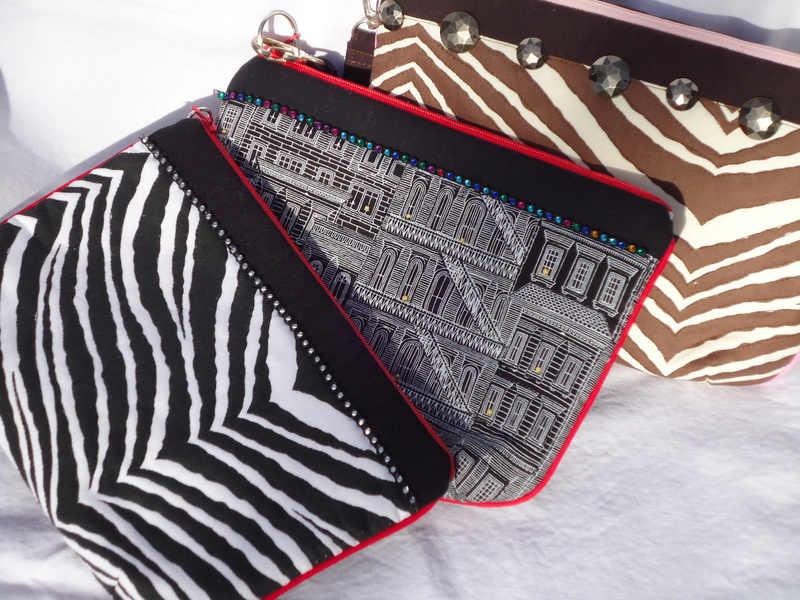 I’m super excited about all these one-of-a-kind designs. I’m hoping to develop most of these patterns into a collection, so this is a preview of a regular series of goodies to come. Thanks for hanging out with me today! 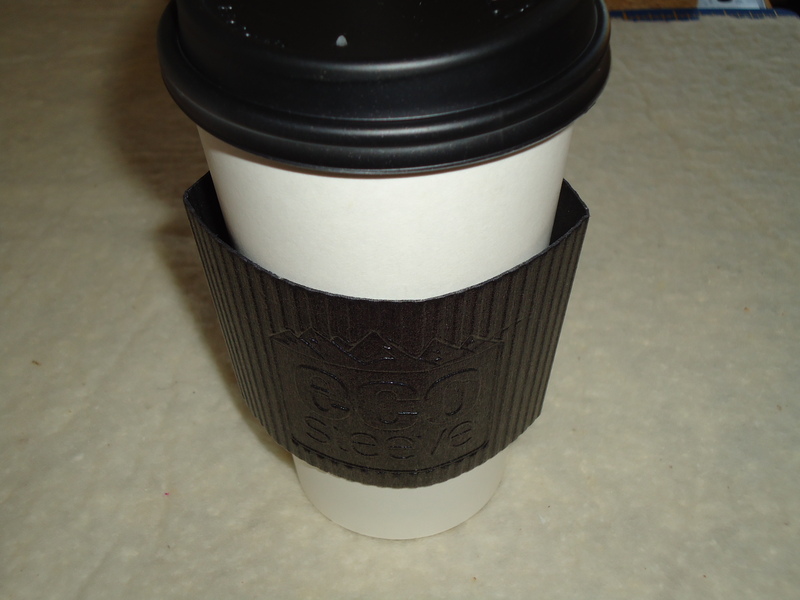 I have always wanted to know how to make a coffee cozy, especially after receiving a coffee to-go recently with this dreadful styrofoam cozy! I thought it would be fun to have a cozy in my own little signature patchwork style, so I documented the steps in case you want to make one for yourself or as a stocking-stuffer gift. 1. 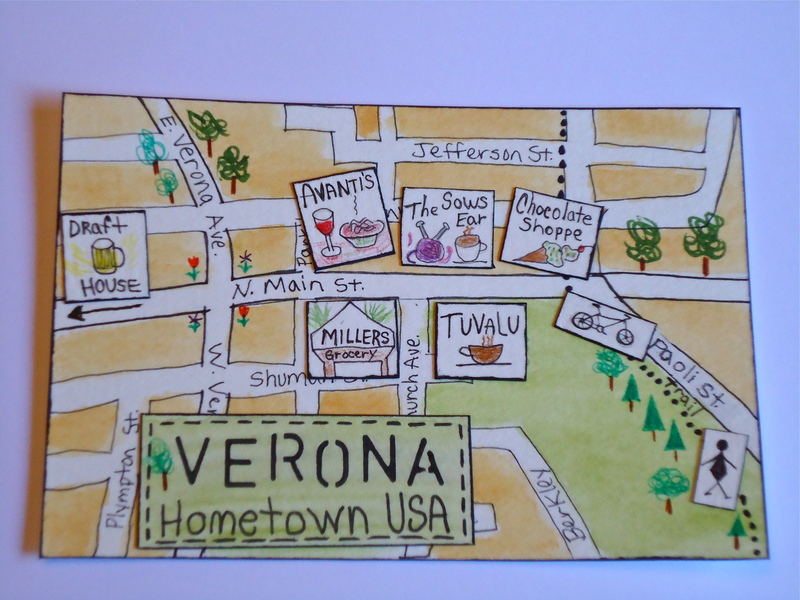 Trace your coffee cozy template, using a sample from your favorite coffee shop. 2. Add 1/2 inch all the way around and connect the dots or dashes. 3. 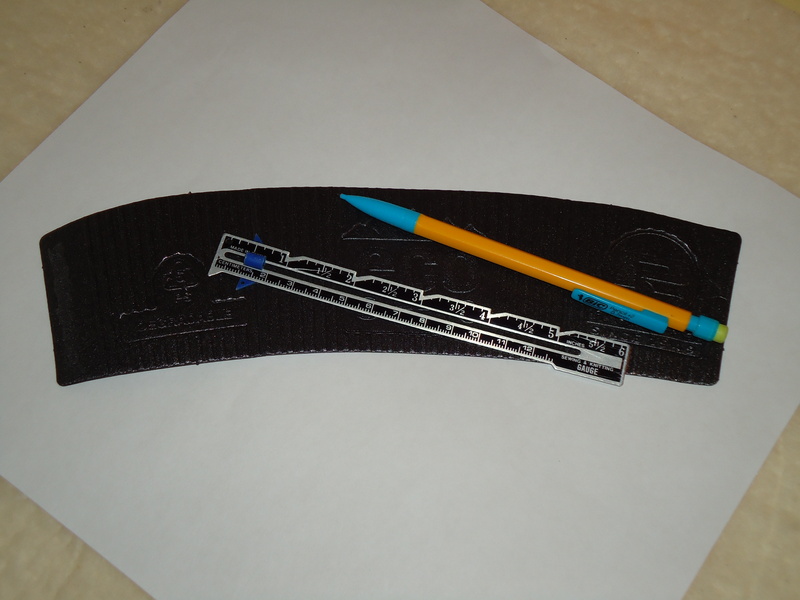 Cut out your new pattern. 3. 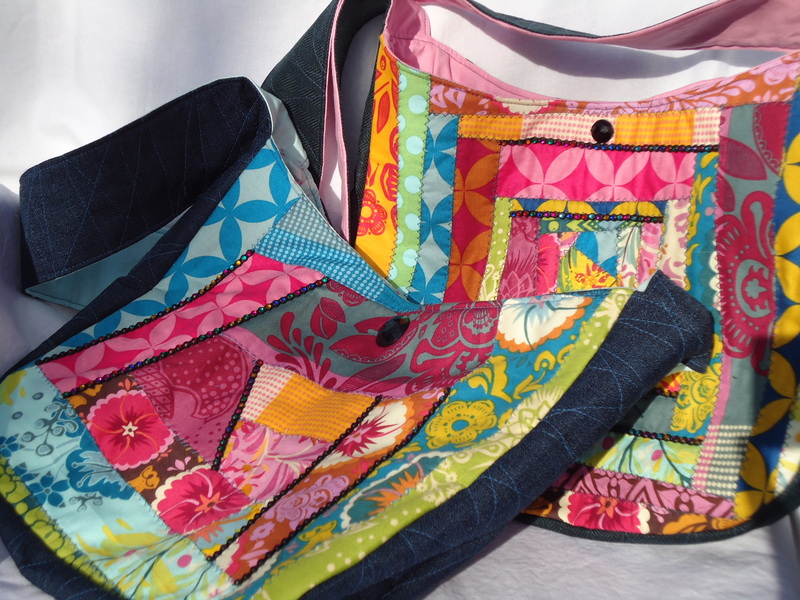 Quilt your patchwork. 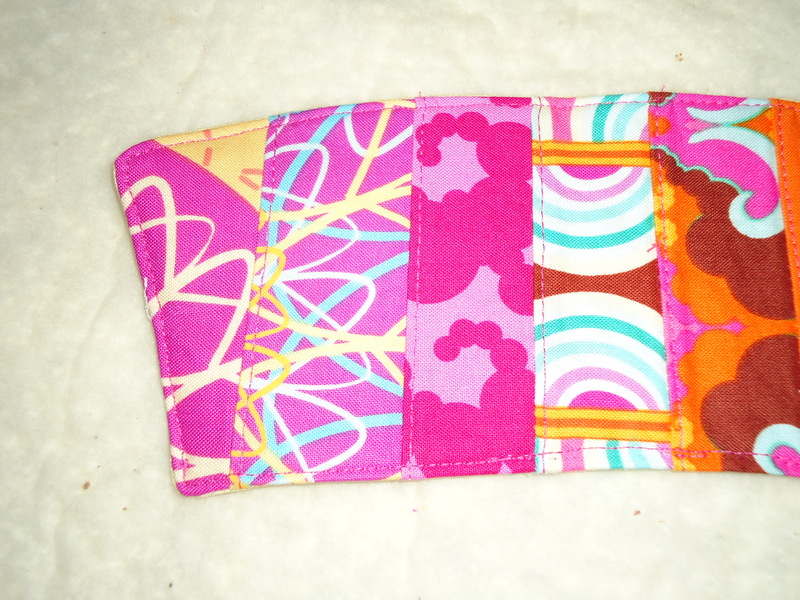 I just stitched 1/4 inch in from each seam allowance. 4. 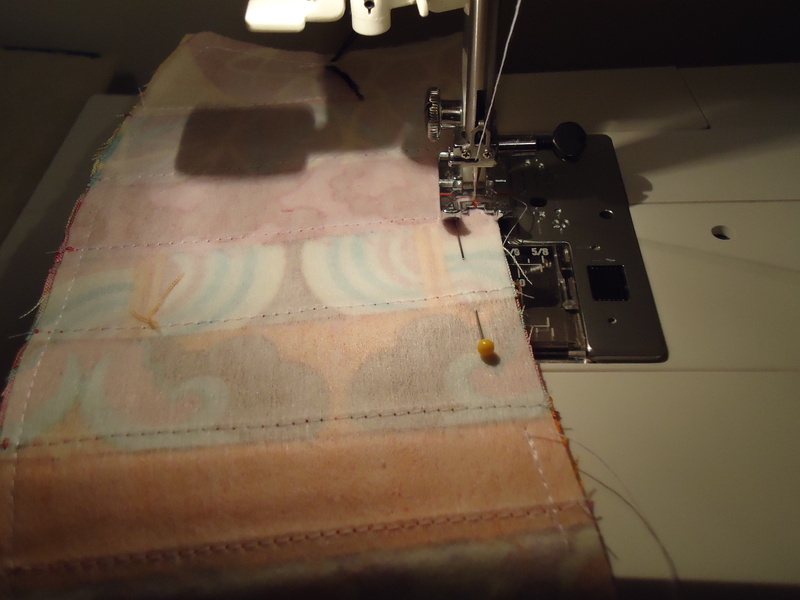 Using your new pattern piece again, cut out your lining fabric the same size as your patchwork piece. 5. 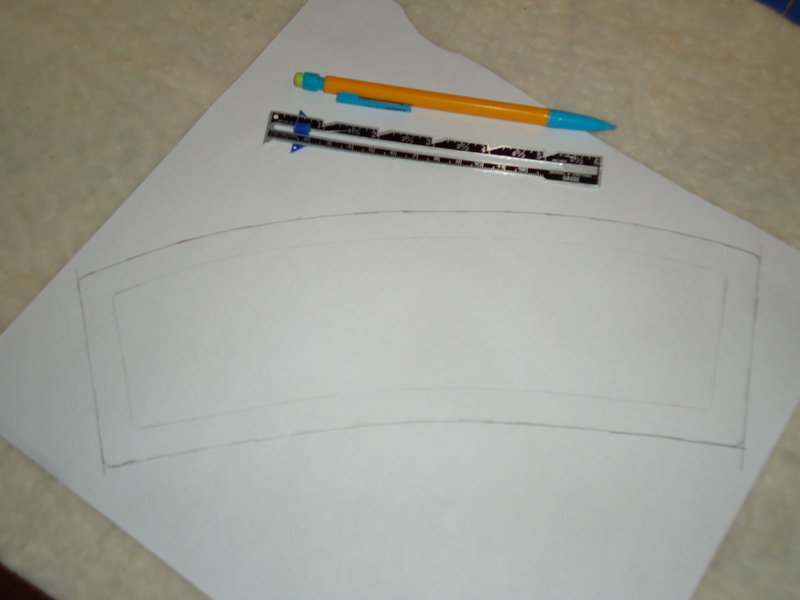 Lay these two layers right sides together, pin, and stitch using a 1/4 inch seam allowance. Leave an opening for turning. 6. Turn right side out through the opening. 7. 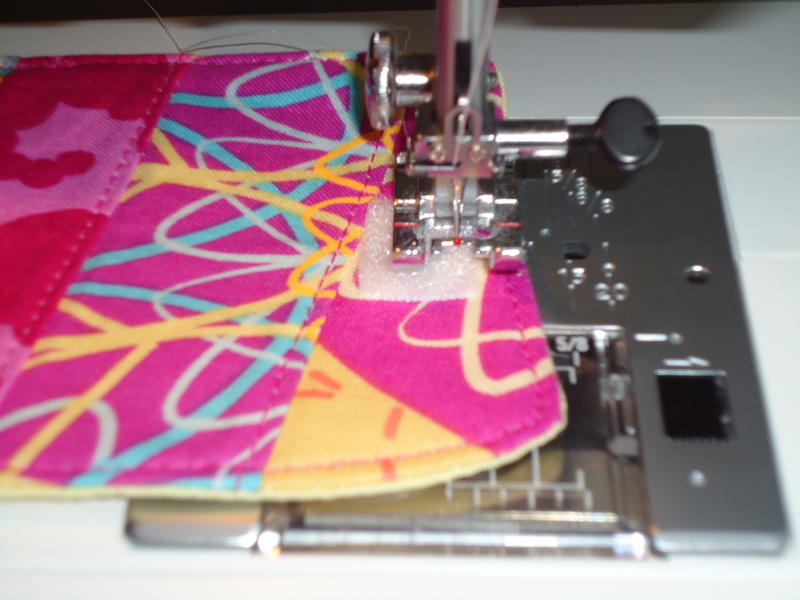 Tuck in the opening, press layers so seams are flat, and top stitch about 1/8 to 1/4 inch in from the edge. 1. 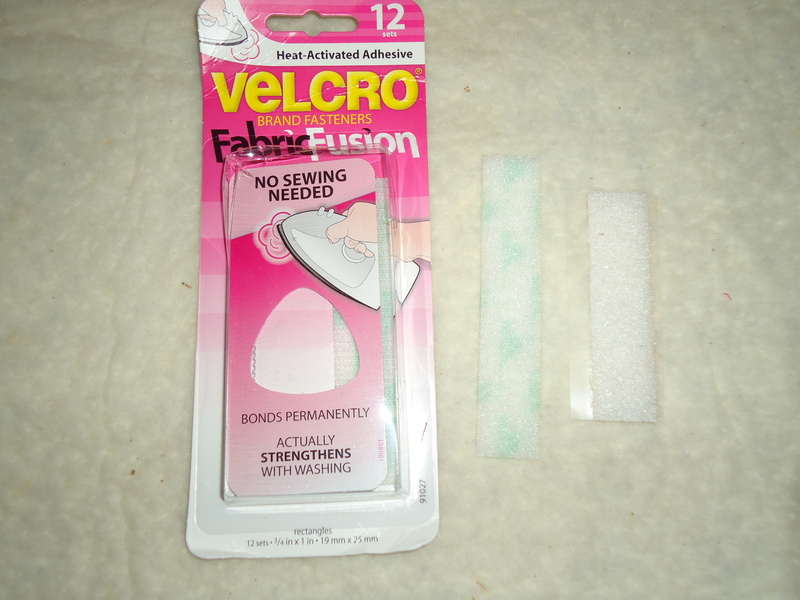 I used a couple of these velcro tabs for the closure because they were easy, inexpensive and forgiving as far as perfect alignment. 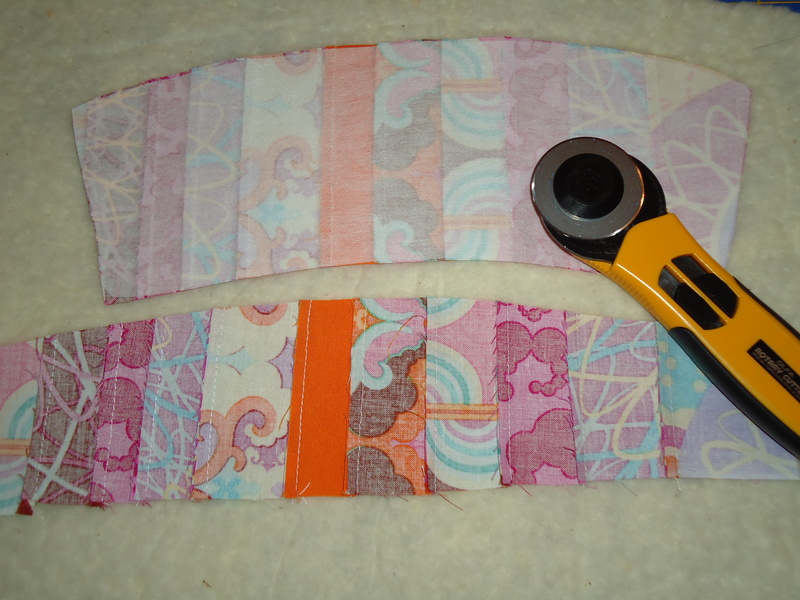 NOTE: before stitching the velcro tabs, you might want to make the marks on both the right side and lining pieces and then try on the cozy to test the placement. 2. 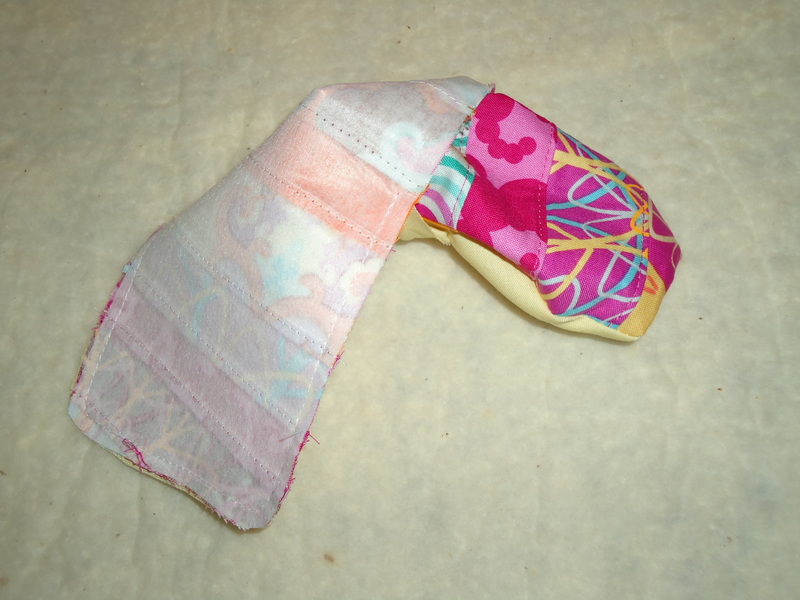 Lay your patchwork cozy flat with the lining facing up. 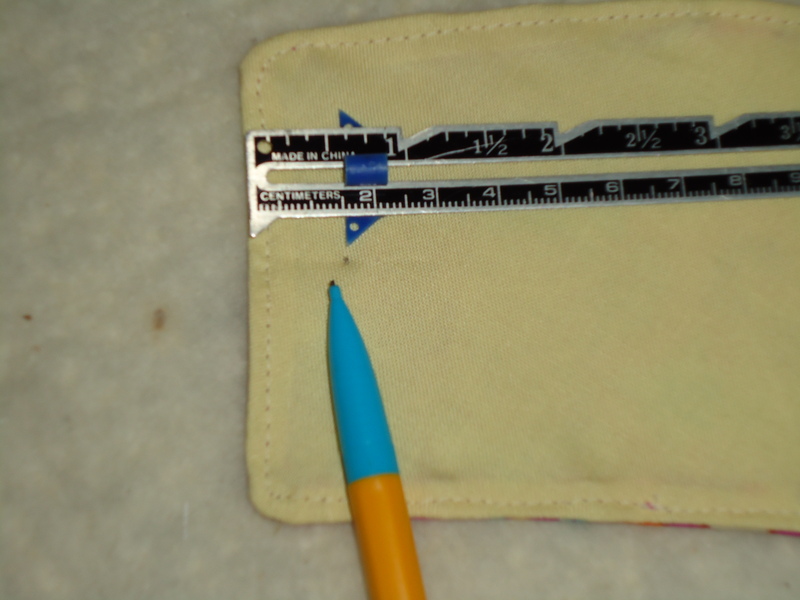 Measure in about 3/4 inch from the edge and make a dot with a pencil. Center one tab of the velcro over this dot and stitch. 3. 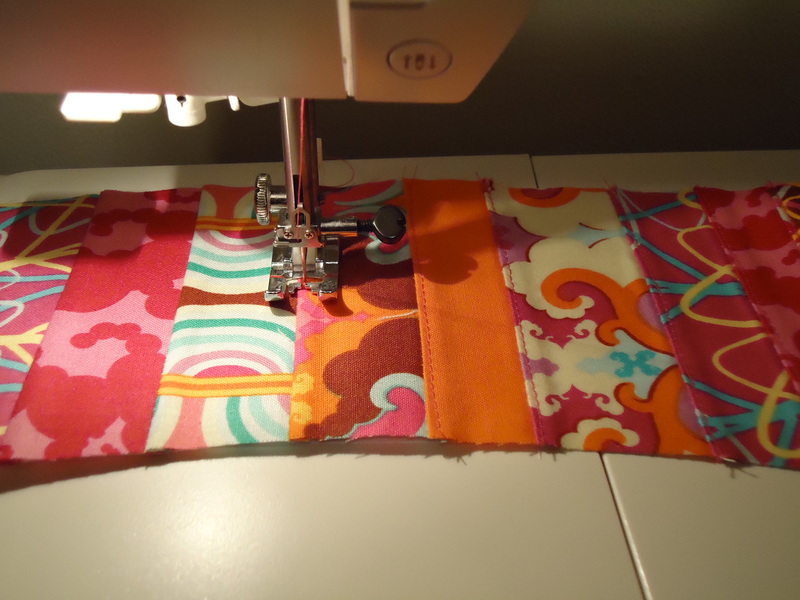 Lay your patchwork cozy flat with the right side facing up. 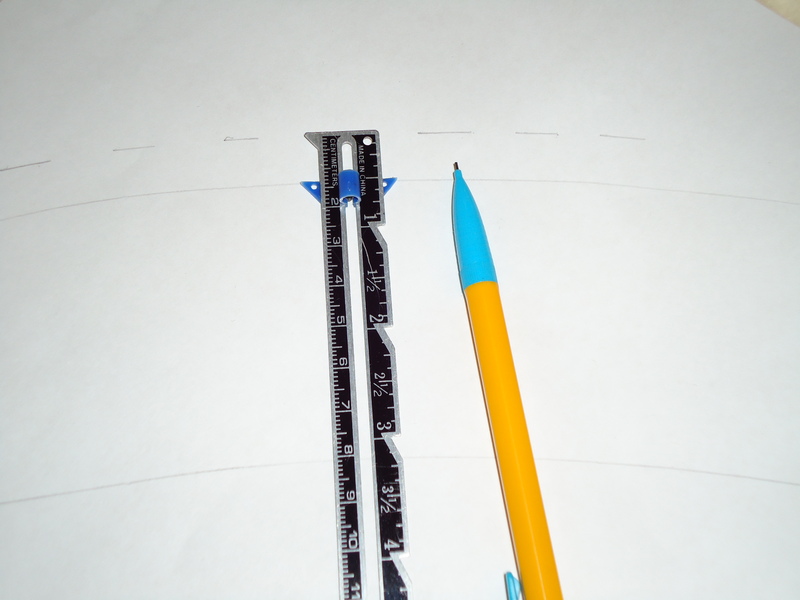 Measure in about 3/4 inch from the edge and make a dot with a pencil. Center the other half of the velcro tab over that dot and stitch all the way around. 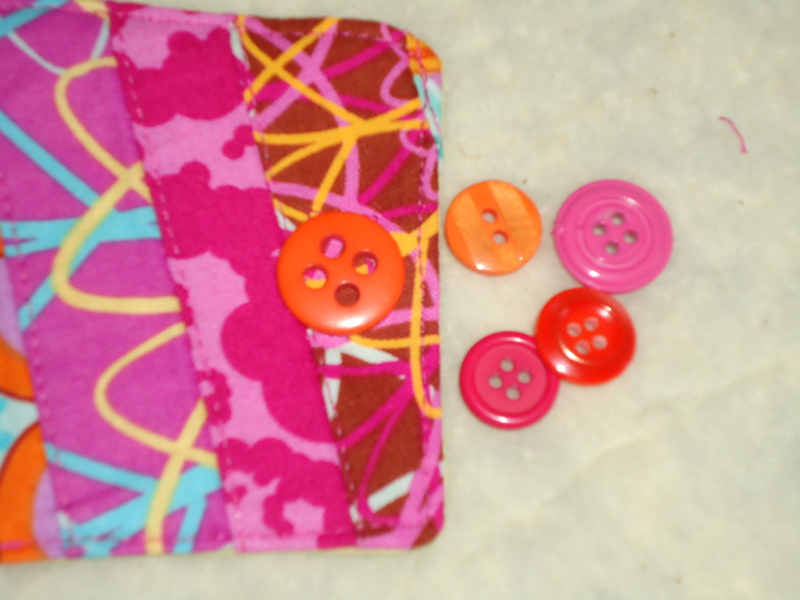 Select a decorative button to sew on the right side of the patchwork from the velcro tab. Try on your new coffee cozy! 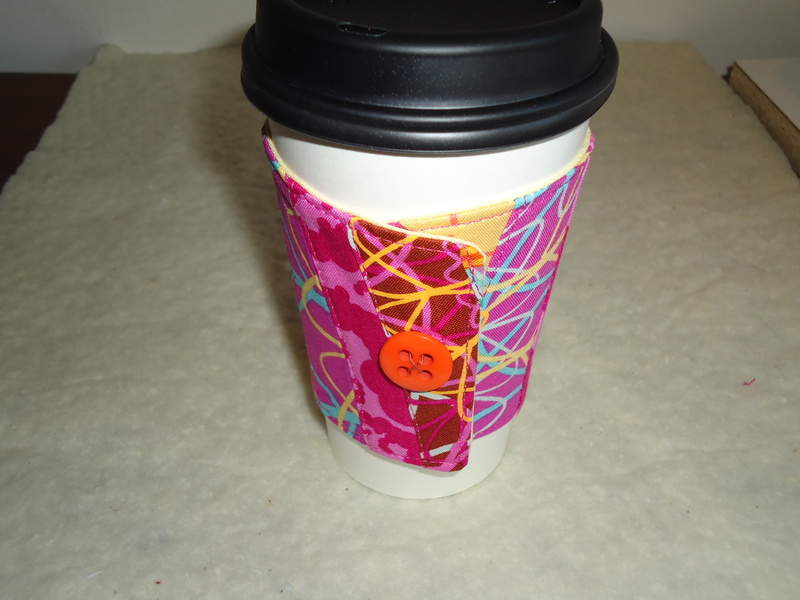 Enjoy your coffee to-go in style! 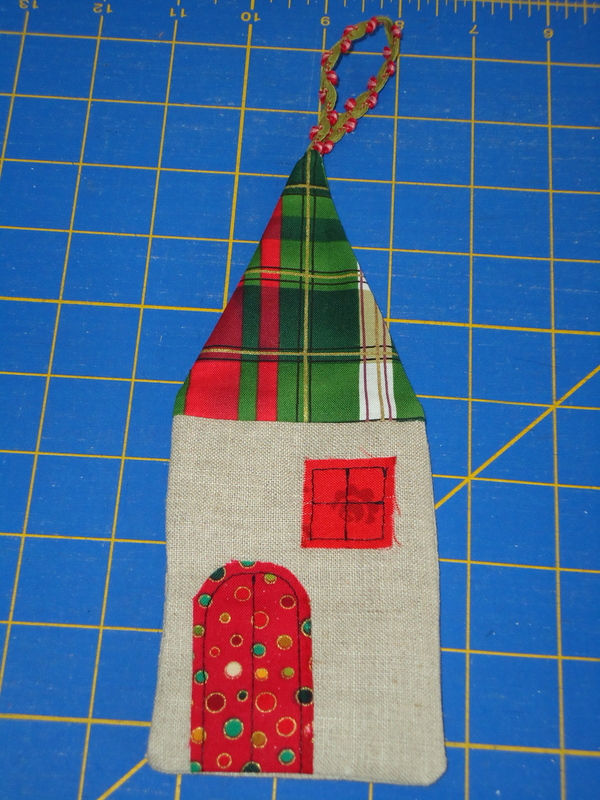 Have you started making gifts yet for the holiday season? I admire you if you started back in July, like I should have! I just recently started making a list of the gifts I want to make. I have gifts completed for just a couple people, but I sure would love to be able to give more handmade gifts this year. 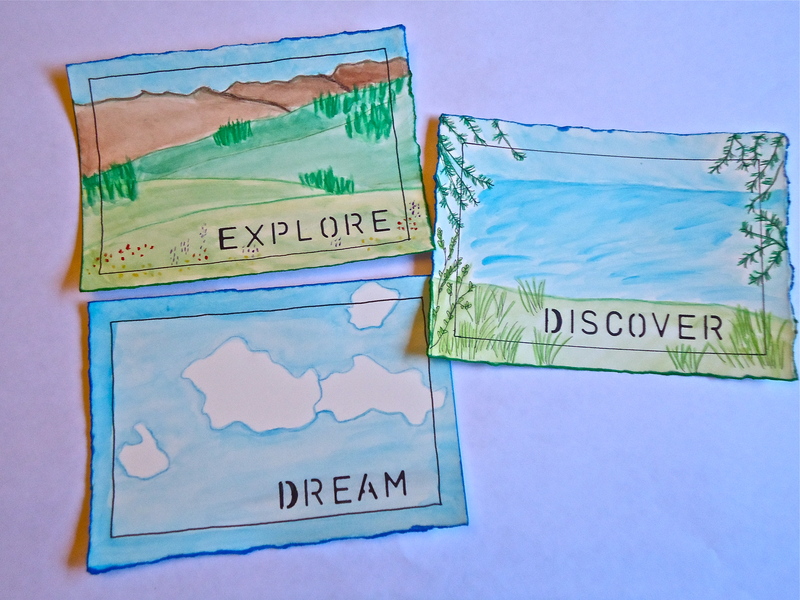 I used to tell myself that if I didn’t have to work, I would have time to make all those things I want to make. I’m not working now, but I feel like I have less time than before! I am taking two classes, which means I’m gone about five hours a day. Then I have homework to do. I try to cook and bake a little more, and clean parts of the house once a week (not just before guests stop by). That just tells me that life is busy, no matter what you are doing. 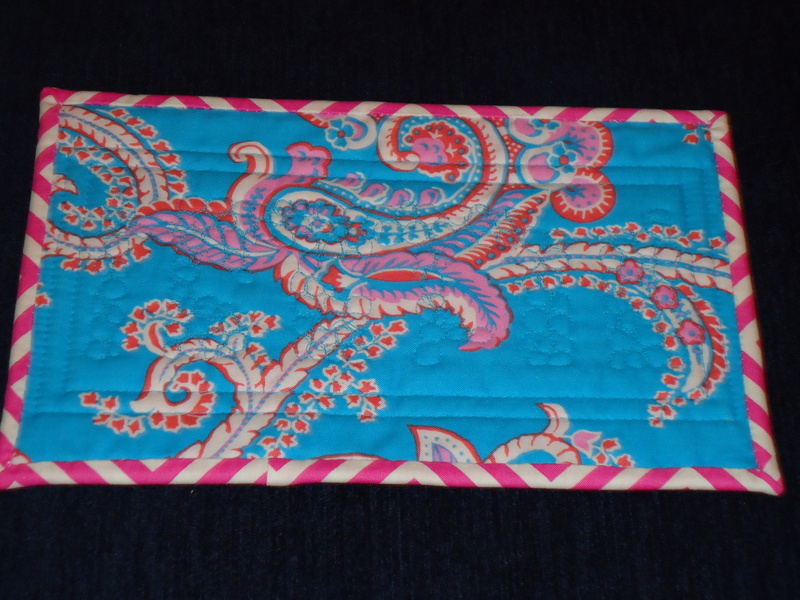 I put a new list on my sidebar called Quilts I Want To Make. Maybe I will get to those projects next year, as long as I finish the five or so quilt tops I have piled in the closet, waiting to be quilted. These days, I have started telling myself, “if I had all the time in the world, I would make this!” And then I add it to my list. 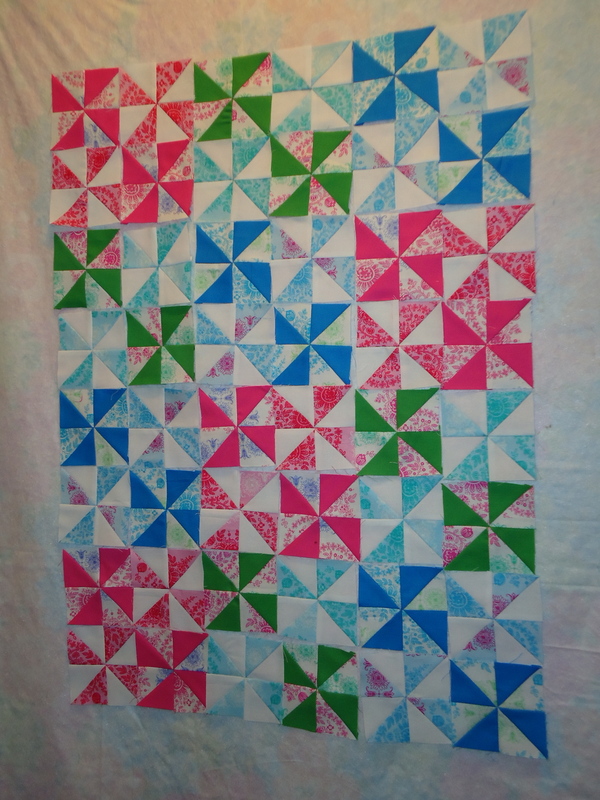 I finally finished piecing this quilt top of pinwheels with lots of inner borders and sashing! I used a pattern I got from Anina last summer. 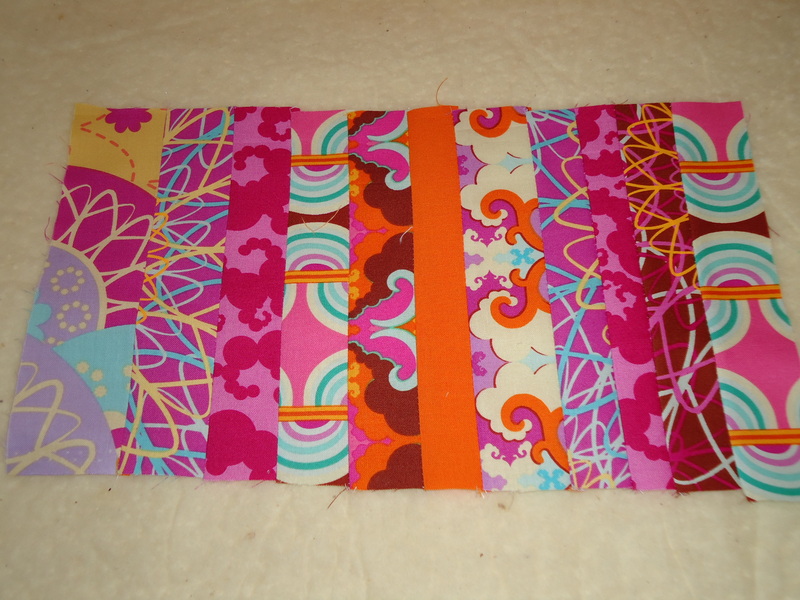 I cut the fabrics right away, and started piecing it at a quilt retreat earlier this summer. 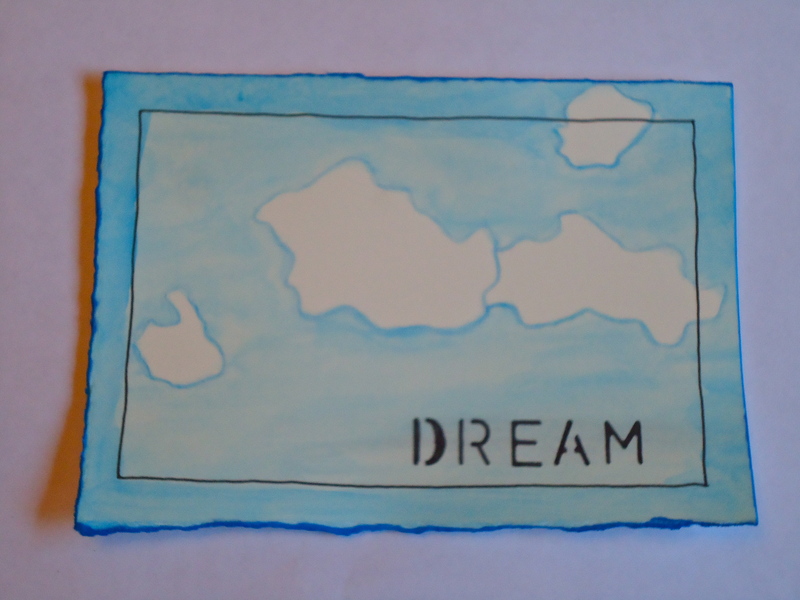 Then I grew a little tired of it, and I got distracted with other inspiration. 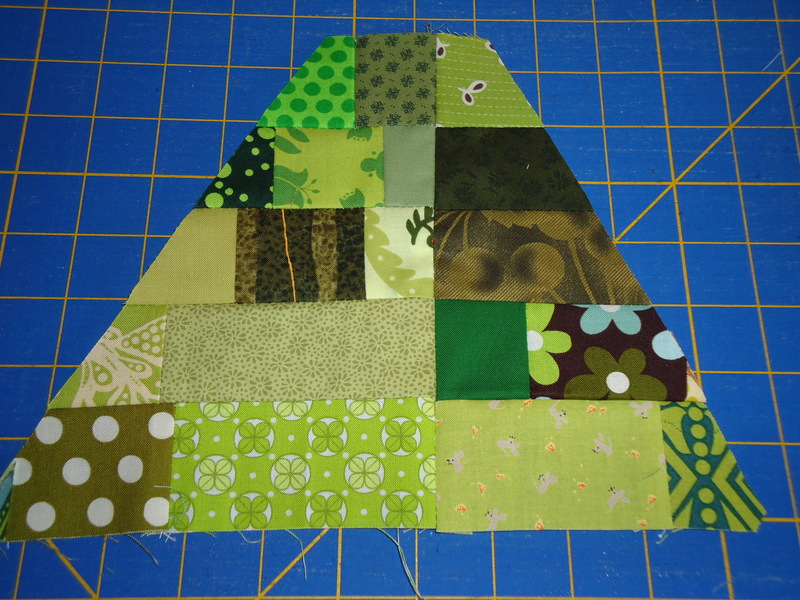 I pushed myself to finish the piecing recently – yippee! 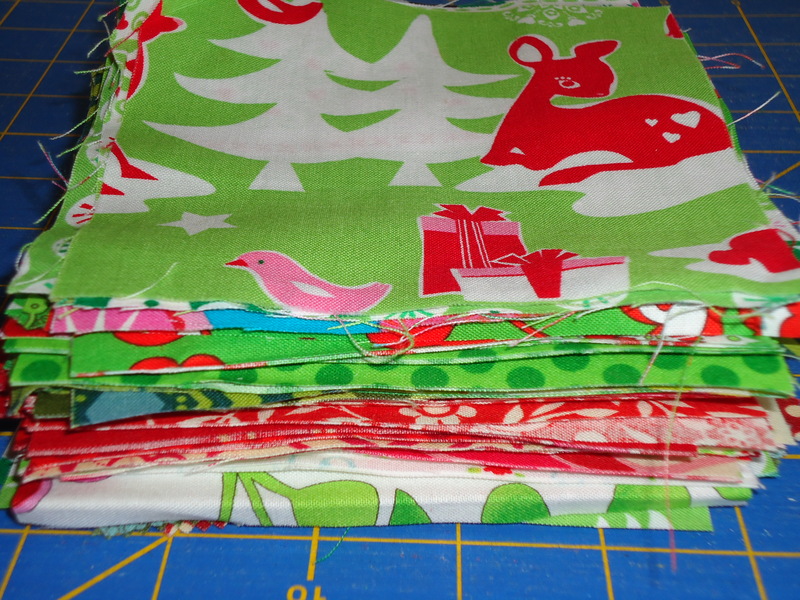 Now that makes three finished quilt tops in my pile that need quilting. More pinwheels? Yes, remember these? 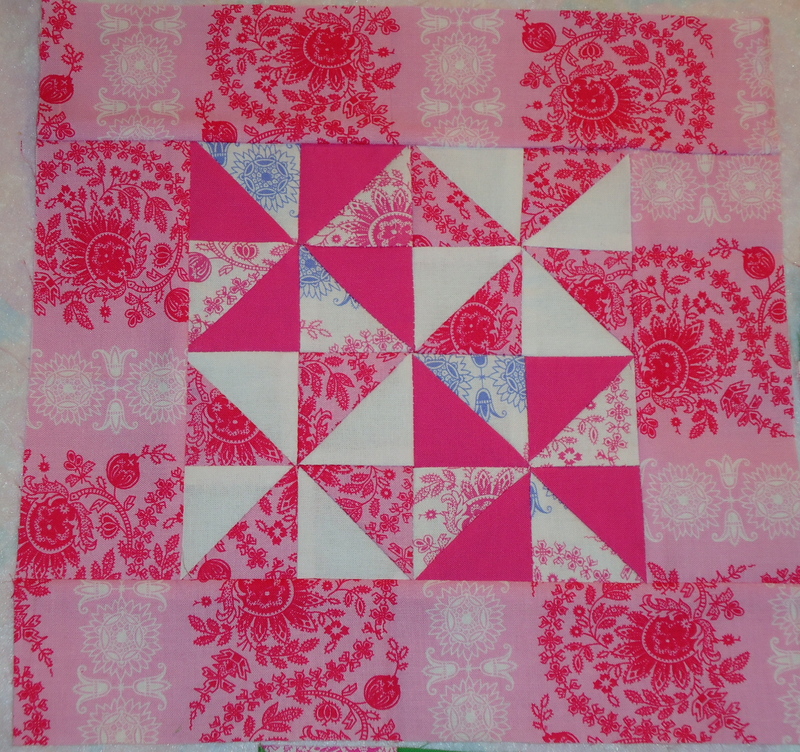 Since I was playing with scraps, these 48 blocks were much smaller than I realized (5 inches each), so they make for a small quilt (about 22 inches wide by 31 inches tall) that could be used as a wallhanging, table runner, play mat or doll quilt. 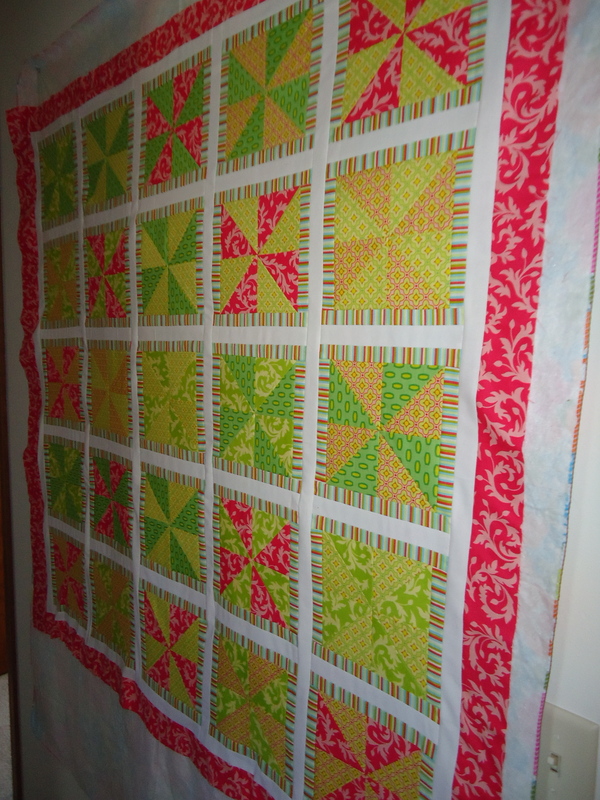 Here is my current layout, organized with same-color pinwheels arranged to make a 4-patch. 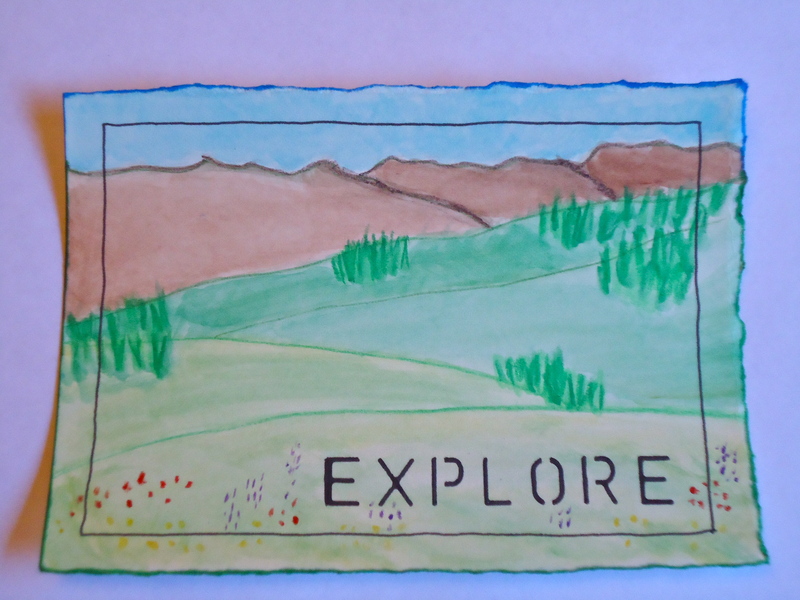 I like this layout, but it didn’t feel quite right yet to me, so I am pushing myself to take it farther. 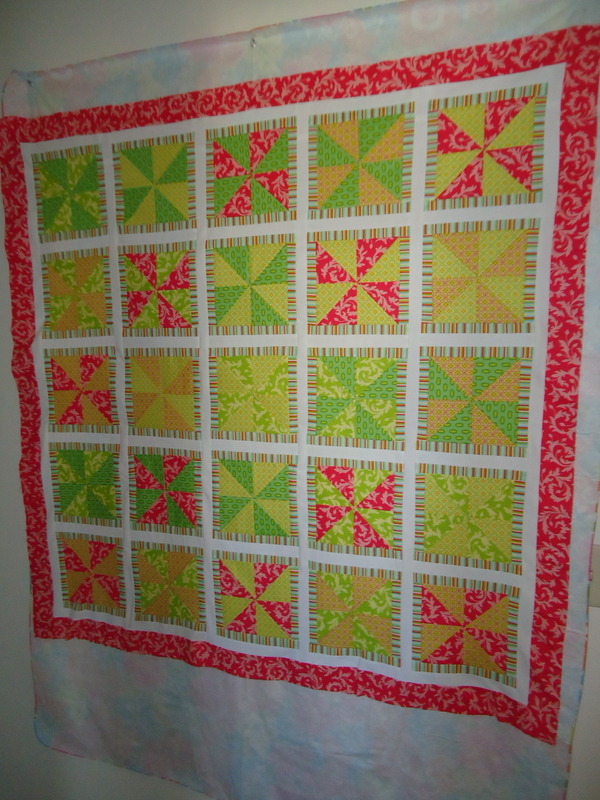 I thought each colored 4-patch section could use sashing around it, which would enlarge each block and hence the entire quilt. I didn’t want to use white sashing, so I dug deep into my stash to come up with something bright and cheerful. Now that feels much better to me! I love how the block really glows, and I love a bigger size of 11 inches. 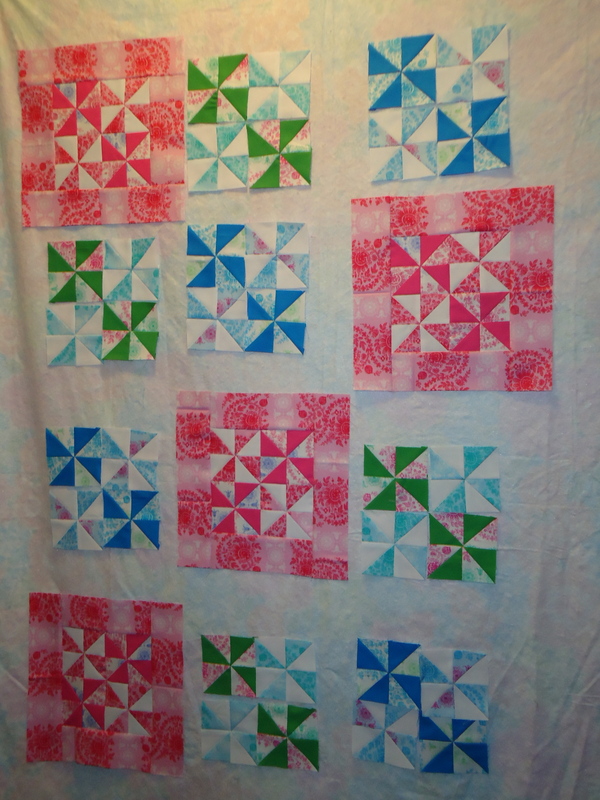 So I’m off to continuing framing each pinwheel block. I hope to have another update for you next week, or maybe even a finished quilt top. 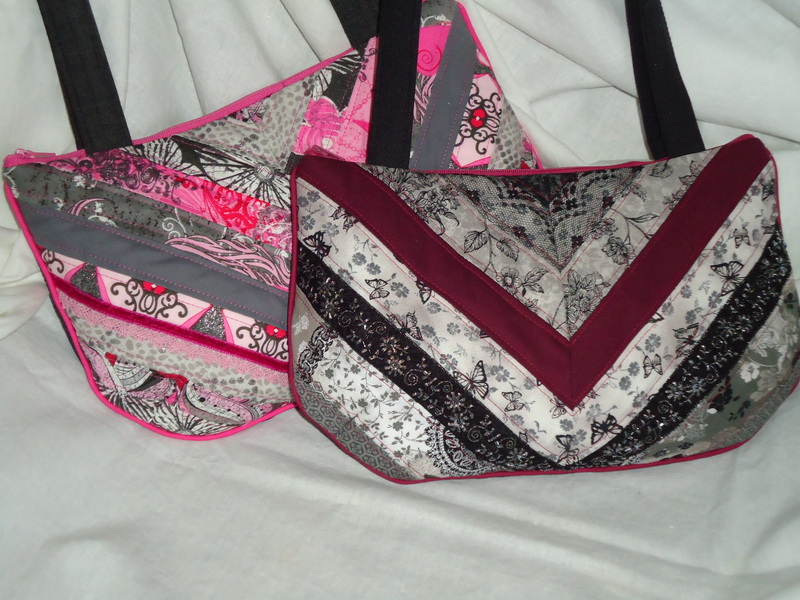 For both of these quilt projects, I have been utilizing my design wall quite a bit lately. It’s very high-tech: start with a laminated table cloth with flannel on the back and add three evenly-spaced grommets to one end. Put three equally evenly-spaced nails high up on the wall to hang the design wall when you need it. Since those nails are high up, they won’t be noticed when the design wall is tucked away in the linen closet. 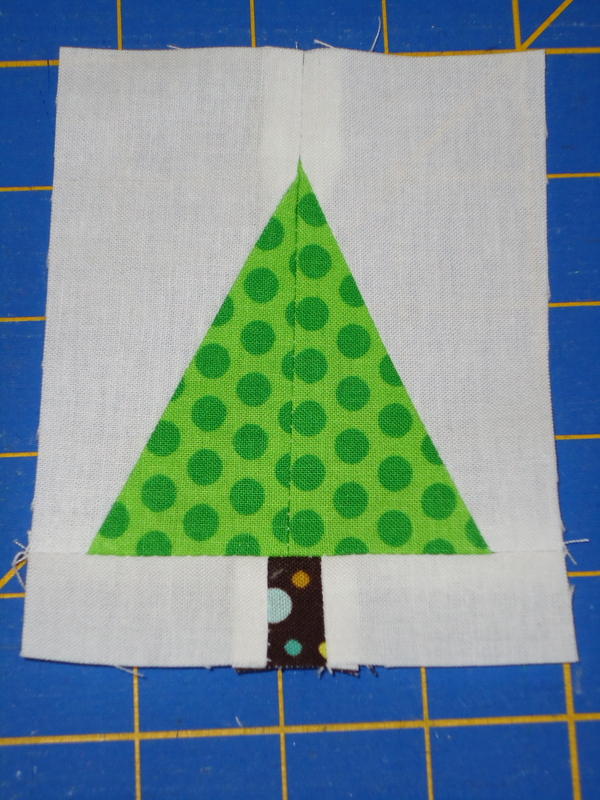 Use the flannel side to stick fabrics and blocks to play with your design. Having these projects in-the-works hanging on the wall has kept me focused and pushing myself forward before getting sidetracked with another. 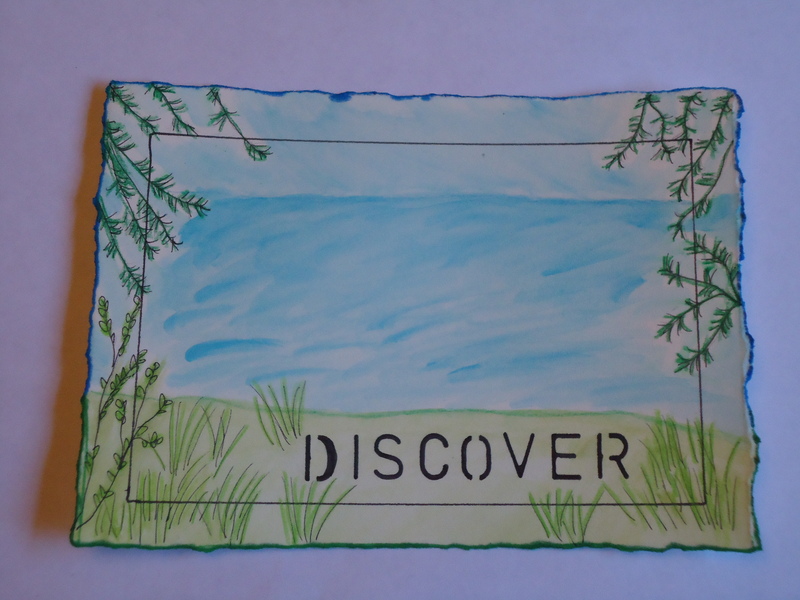 When inspiration strikes, I try to capture it in a sketchbook until the design wall is free again.